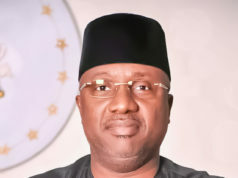 Alhaji Ahmed Lawal, a chieftain of the APC on tuesday cautioned the APC to be aware of plans to cause bad blood between North and South, towards destabilization of party before 2023. Lawal gave the hint in an interview with the newsmen in Yola. 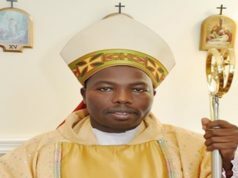 The statement was a reaction to the recent claim by Chief Ebenezer Babatope, a former Minister of Transportation and a member of the Board of Trustees of the PDP. 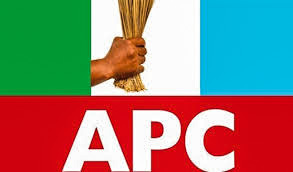 Lawal, who is the State Organising Secretary of the APC, in Adamawa, said that democracy thrived on numerical support. According to him, while other geopolitical zones in the south could not gainer considerable votes, during presidential elections in both 2015 and 2019, the southwest voted massively for Buhari within the time review. He insisted that President Muhammadu Buhari would not betray the south west in 2023 for power rotation. He also noted that Dr Iyorchia Ayu, former Senate President and Babatope, were not members of the APC. He regretted why those who were non APC members, would be concerned about internal affairs of the party. “President Buhari we know as an epitome of integrity will not betray the south west as far as rotation of power is concerned. ” I am cautioning the APC family to be aware of plans by enemies of the party who have strategically positioned themselves to distabilise the party. “This plot is to distabilise the APC, so as to reclaim power come 2023. ” It is worrisome that Dr Iyorchia Ayu and those who are non APC members would be advising Ahmed Tinubu, to jettison his future ambition for Yemi Osinbajo. “I maintain that the comment attributed to Chief Babatope, regarding power retention in the North is unfortunate.